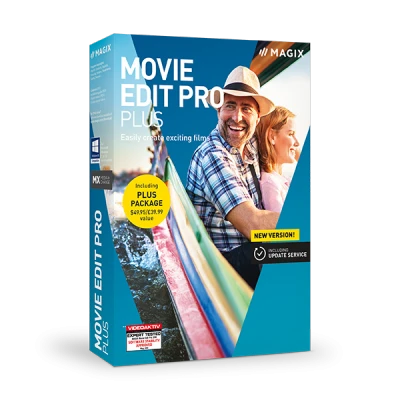 MAGIX Movie Edit Pro Premium Your films, created your way. One-of-a-kind. Just like your movies. Import, optimize, edit — the fastest way to start making your own movies. Generate movies automatically or manually create your own. Get high-speed results, each and every time. Set the order you want your footage to appear in and keep only the best scenes – all using the Storyboard or Timeline modes. From family party videos to travel vlogs, find the right high-quality effects designed to bring out the best in your movies. First and last impressions are everything. Various templates for intros and outros ensure uninterrupted entertainment. From start to finish. Action-packed, breathtaking or understated - change the scene. Keep the excitement going. Sound is every bit as important as image. Soundtracks produced by real musicians are available directly via the store. Add the finishing touch with a captivating title. Make each and every scene more exciting – and even more dynamic thanks to the new title animations. The only thing that's slow about Movie Edit Pro: slow motion! Achieve breathtaking effects in your videos by modifying speed. With Movie Edit Pro, you're in the director's chair! 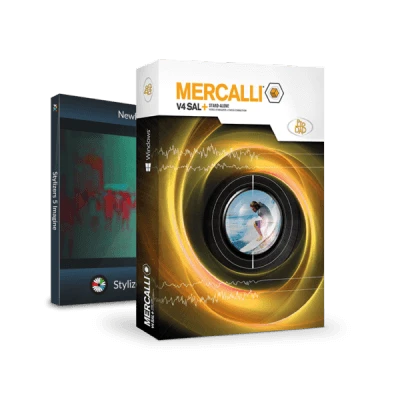 Add elegant camera pans or spectacular zoom effects to your video material. Built to take your breath away. Movie Edit Pro Plus turns your camera footage into high-quality movies. With access to the best tools and features on the market, you can edit and optimize your videos with confidence whether you're a pro or just getting started. Get access to the latest effects in the Movie Edit Pro store and keep your footage on the cutting edge. Includes coupons worth up to $49.95! Brings movies to life like the Plus version but with a little extra something special. Travel footage turns into amazing videos and truly cinematic experiences. The legend is back: Relive your travel experiences on a 3D animated globe with Vasco da Gama. Now available in the latest Essential version! Move confidently from one scene to the next with professional transitions from proDAD. Give your movies that authentic Hollywood look, complete with professional color grading and aspect ratios built for the silver screen. To keep you and your movies on the cutting edge, you'll get all future new features and effects for free for 1 full year! With the update service you will receive a full year of new features and updates for free, which can be used indefinitely. If you reinstall the program after one year, you will have access to the basic version. After the one-year update service has expired you can extend it for a discounted price. 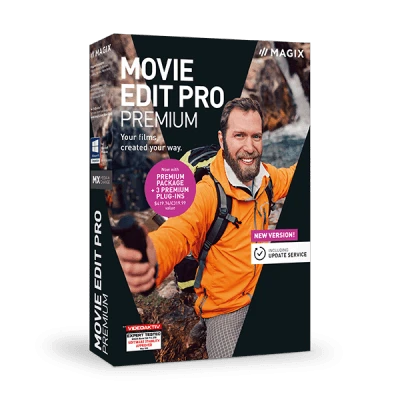 "MAGIX Movie Edit Pro 2019 is an excellent video editing software that turns you into a genuine film director. [...]"
"Even under our rigorous testing procedure, the timeline in MAGIX Movie Edit Pro was highly responsive and worked reliably over several hours of intensive editing." "Extremely powerful with a wide range of editing options"